Daniel Rendon, a.k.a. "Don Mario"
Mario and his brother Fredy were born in the rural outskirts of Amalfi, northeast Antioquia, where they grew up with the brother Fidel, Carlos and Vicente Castaño, Miguel Arroyava and Jesus Ignacio Roldon. All would later become among the most prominent warlords and drug lords in Colombia’s recent history. Vicente would later found the AGC with Mario. Both Mario and his brother, a.k.a. “El Aleman,” began their criminal career low down the ladder of Pablo Escobar‘s Medellin Cartel, which virtually ruled Colombia’s underworld in the 1980s. The Castaño brothers Fidel and Carlos were also working with the cartel, but at the same time putting together a considerable paramilitary self-defense force to defend themselves and their community from guerrilla attacks around Amalfi. With support of the Cali Cartel, the Castaños formed paramilitary group “Los Pepes” and were joined by Mario and Berna. The Medellin Cartel leader was killed in December 1993. Don Mario and the Pepes then took over part of the cartel’s drug industry and used its revenue to fuel the bloody war against Marxist FARC guerrillas they had been fighting since the 1980s. In spite of its brutal violence, the anti-guerrilla struggle was openly supported by the local rural elite, many of whom had been terrorized by the FARC for decades or even been victims of guerrilla kidnappings or assassinations. Under former President Cesar Gaviria, regulated armed self-defense groups similar to those of the Castaños were legalized. Mario and his brother formed the paramilitary “Elmer Cardenas” group in 1995 and joined the Castaños’ paramilitary umbrella organization United Self Defense Forces of Colombia (AUC) in 1997. The AUC by then was already brutally battling Marxist FARC and ELN guerrillas nationwide while promoting a far-right political agenda and becoming one of the country’s most prominent drug trafficking organizations. While Mario was in central Colombia, Carlos Castaño was assassinated in by their childhood friend, Roldan, now called “Monoleche,” who had become Vicente Castaño’s personal security chief. Mario reappeared in 2006 when he and his brother demobilized as members of their Elmer Cardenas Bloc, one of the last to do so under a 2005 demobilization treaty with then-President Alvaro Uribe. Mario, his brother and most other AUC leaders took part in the demobilization after being promised they wouldn’t be extradited to the US. However, when later in 2006 Uribe ordered the arrest of the AUC leadership — including El Aleman, Don Berna and Monoleche — Vicente dissented and ordered Mario and others to go underground and retake AUC operations. 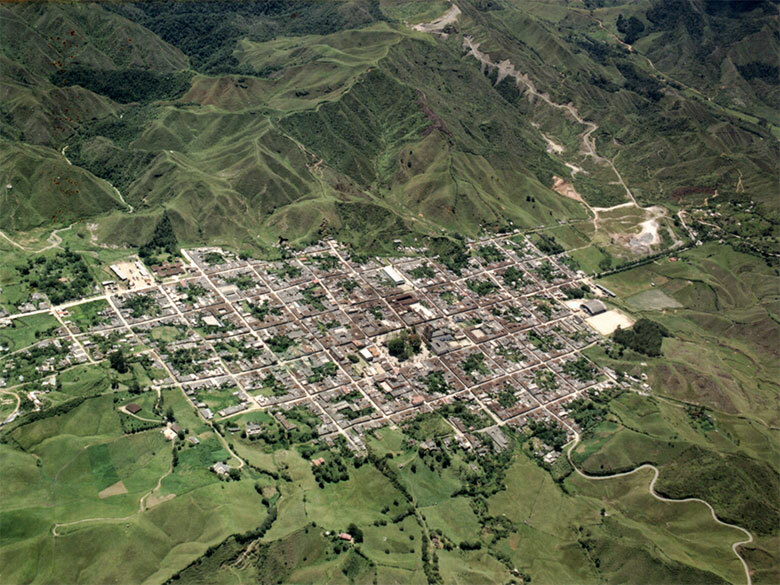 While formally presumed alive, Vicente was murdered in Nechi, Antioquia in 2007. The versions around his alleged death spurred a variety of claims. Mario assumed Vicente’s position and retook control over AUC operations in his stomping ground of Antioquia. However, this created tensions and ultimately a turf war with “Los Paisas,” a paramilitary-aligned drug gang founded by Berna, one of the suspected masterminds behind Castaño’s death. Uribe violated the agreement with the AUC again and in May 2008 extradited the demobilized AUC leadership to the United States, including Berna. El Aleman and Monoleche evaded the surprise extradition and stayed imprisoned in Colombia. Around then, Mario formally announced the founding of the AGC for which he had been recruiting since 2006. The group overpowered “Los Paisas”by taking control of drug routes and territory previously under control of extradited AUC commanders Salvatore Mancuso and “Cuco Vanoy” along the Caribbean coast, and the rackets left by his brother in Uraba and along the Pacific coast. Following his arrest, the United States has consistently sought the extradition of Mario over his involvement in international drug trafficking, but without success. Colombia’s Supreme Court ruled Mario primarily had to respond in Colombia for his paramilitary crimes. In December 2014, seven family members of Mario were assassinated in a massacre in Amalf, Mario’s birthplace. According to the military, ELN pamphlets were found at the murder scene. However, the warlord’s attorney told press that the massacre could just es well be a military retaliation after Mario told the prosecution about military killings of civilians. Mario was first convicted guilty in 2013 for a 2008 AGC massacre in Turbo in which five people, including two security officials and a former policemen were assassinated. It wasn’t until May 2016 he was convicted for almost 20 cases of homicide, and more cases of torture, forced disappearance, kidnapping and forced displacement committed between 2002 and 2004 when he was in central Colombia with the AUC. In September that year he was convicted by a court on the northern Cordoba province for crimes committed in the name of the Aguilas Negras in between 2008 and 2009 that included homicide, forced displacement and extortion. Both Mario and the current AGC leadership have insisted on taking part in a peace process currently going on with their former archenemies, the FARC, claiming they have always been part of the same armed conflict as the FARC. But was extradited to the United States to face drug trafficking charges in April, 2018 and the government of President Ivan Duque failed to follow up on the demobilization agreement made by his predecessor, Juan Manuel Santos.